I'm happy to see the Bill Norris-Kevin Banonis "Holy Toledo!" calendar on sale again for 2015. I hope these guys are making some money from the project, because they are doing us all a major service by producing a beautifully-designed, endlessly interesting, large-format calendar devoted to vintage Jeeps. 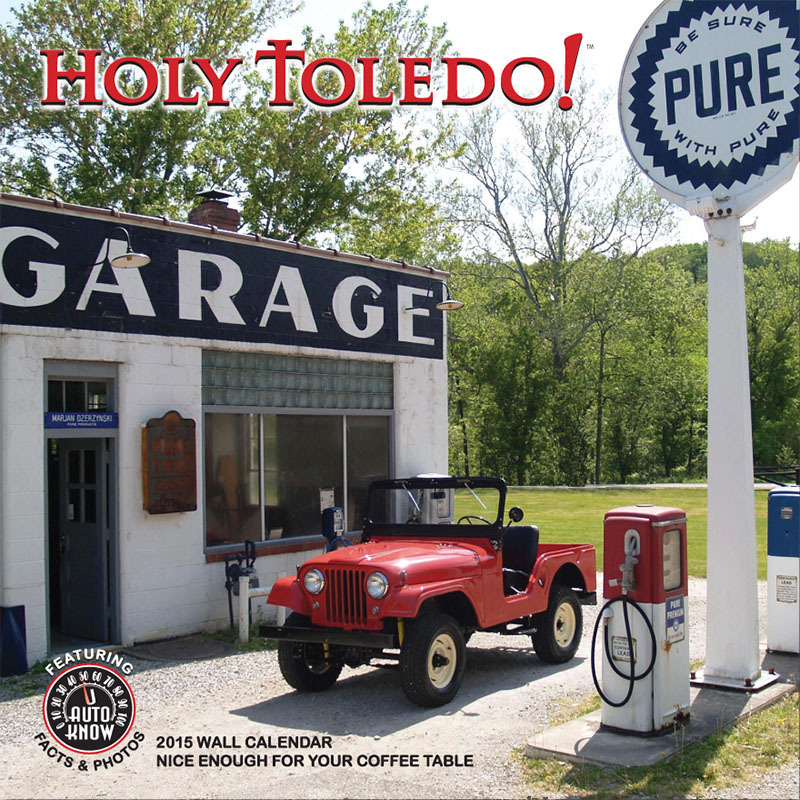 You'll want to hang it where you can look at it every day, because this is far more than a one-picture-per-month calendar -- it's a kind of "Old Jeeps Almanac." Sorry to say, there are no CJ-3Bs featured this year. But there is every other shape of Jeep from before, during and after the CJ-3B era. 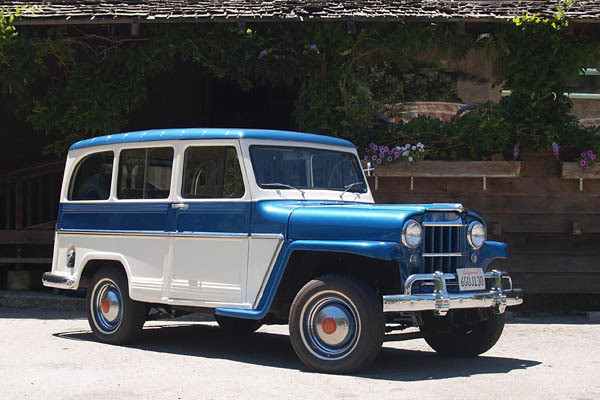 For July 2015: this 1960 Willys Maverick 2-wheel-drive station wagon, originally from South Dakota, which was bought by Michael Upton in California, and restored at Willys America. 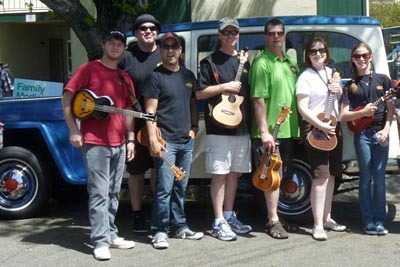 Michael used the Willys wagon for promotions with his company which manufactures and sells ukuleles, for everybody from professional musicians to young children. 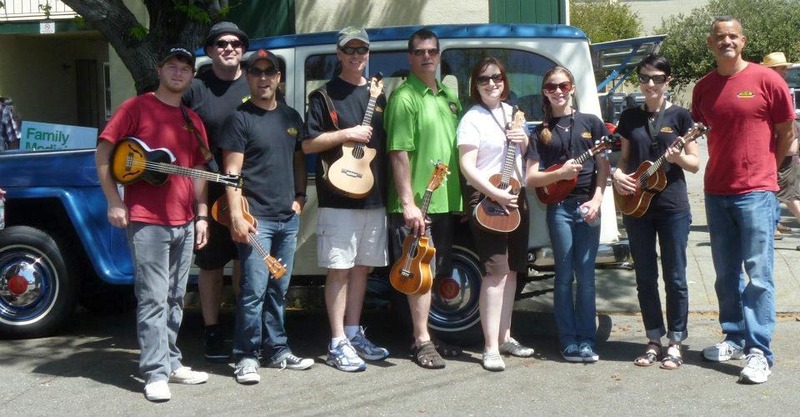 This picture isn't in the calendar, but I thought it was a lot of fun to see Michael and a crowd of ukulele players with the Maverick at a parade in Petaluma CA in 2012 (photo courtesy Kala Brand Music.) As of 2015, the wagon has been sold again. 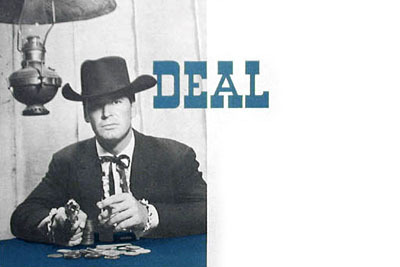 The July calendar page does include, along with the blue Maverick, the usual interesting assortment of vintage advertising and photos, including this Willys mailer promoting both the station wagon and James Garner's Maverick TV show. See more on the Maverick model in Willys Jeep Station Wagon on CJ3B.info. 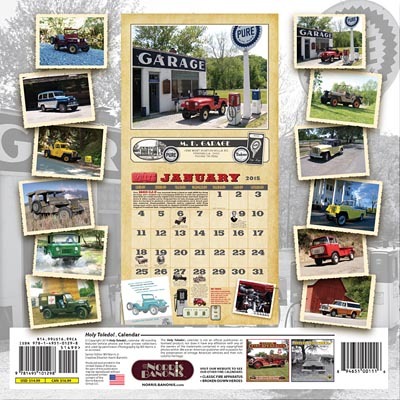 The back cover shows all twelve monthly Jeeps, ranging from a 1944 CJ-2 to a 1972 J-series truck. There's also a look at a sample calendar page, the design of which is the same as last year. 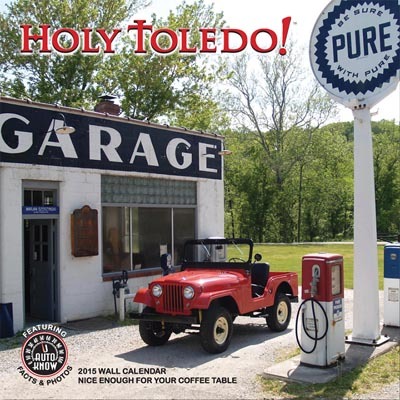 Also available online is the "Classic Fire Apparatus" calendar, which has no Jeeps this year, and "Broken Down Heroes," with twelve months of Bob Christy's black & white photographs of old, abandoned cars and trucks. All three calendars can be ordered online or by mail. The price is up slightly to US $14.99 each, plus $6 shipping in the US -- but if you order all three calendars, shipping is free.